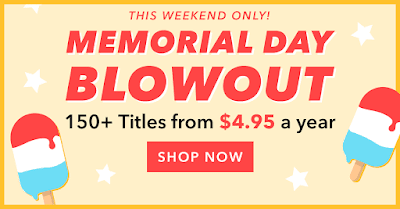 Now thru Tuesday 5/29 at midnight EST (9pm PST), DiscountMags is having a Big Memorial Day Magazine sale. Prices start at just $4.95 per year. 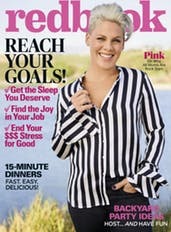 Many popular magazines are included like Food Network, US Weekly, Runner's World, Cosmo, Weight Watchers and many more! There is no coupon code needed to get these reduced prices. 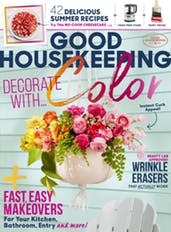 Discountmags has NO auto-renewal, free shipping and no tax on your purchases.